The Character was developed to be used for branding and marketing. Fun fact: the “TCB” tattoo is based on Elvis’ “Taking Care of Business in a Flash” idea, which I had never heard of until my brother visited Graceland. In my opinion, the TCB letters should be inside the flash (TCB in a flash). Elvis should have hired me, perhaps it might have been more popular of a logo! 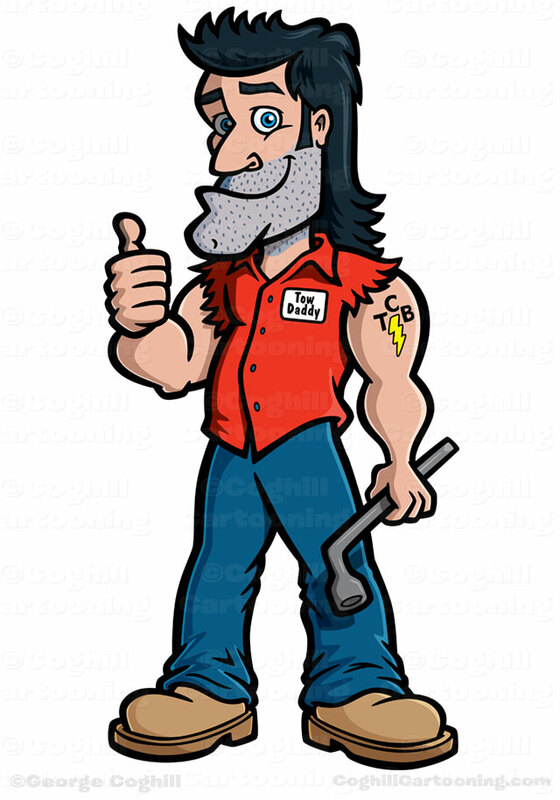 The character was intended to have a hillbilly/redneck mechanic look to him. Final vector art created in Adobe Illustrator CS5.